So throughout Wednesday I formulated a plan. With us now officially in BST and with a week of half-decent weather behind us I thought it would be good to run part of the West Highland Way – the 53-mile Highland Fling route from Milngavie to Tyndrum with enough gear to camp over before getting the train back the next morning. Perfect! Run all day, then eat, sleep under canvas, get up, eat some more then wander over to the train station on tired legs and head for home. Plan was to miss the gym and swim sessions in the evening to spend the time getting my things together – running clothes, food, tent, sleeping bag, hydration – even booked my train ticket for the way back and planned to pick them up from Milngavie in the morning. I had run twice already on Wednesday so didn’t feel too bad about breaking the routine. Alarm went off before 6 and I got up straight away to get the pre-run breakfast down. It was only when I’d finished my porridge and moved onto the eggs that I actually took note of the rain that was battering off my front window due to the howling wind. I looked outside and it was…..bad. Oh well I thought, at least it frees up some space in my pack as I’d have to be wearing my waterproof from the off. 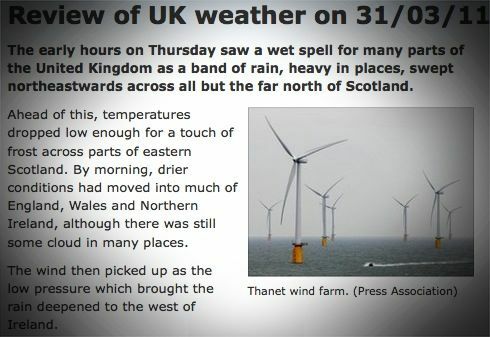 Looked at the forecast which wasn’t great – rain all day and gusts of up to 85kph (in both Milngavie and Crianlarich). Magic…..
I’m not really one for giving up so got my stuff into the car and made my way to Milngavie. I sat in the carpark for a while and the rain got worse. My 32l pack wasn’t exactly light and as it was already getting on (time-wise) I was getting more concerned about how long it would take and when I could expect to arrive in Tyndrum. I picked up my train ticket and ran back to the car. This was nuts. I was desperate for the weather just to show a couple of signs that it might break. Nothing – more wind and rain. It was cold too. I sat for another 30mins – I should have been well on the way by now. And with next week’s race in the back of my mind I made a decision to retreat. It was a hard one – disappointing. Wasn’t worth the risk though – heavy pack, bad weather, strong winds and rugged tracks. Tail between my legs I headed home. What now? By the time i got home Plan B was complete. Dump my large sack, and pick up my small one, switch to a bladder, some energy gels and I could be in Drymen in 40 mins. Plan now was still the WHW but just Drymen to Rowardennan and back (approx. 28m) with Conic Hill in the middle (twice!). Route description (minus the weather) here! It finally felt good to be out – not exactly what I had planned but a decent alternative. When I reached the gate that opens onto the moor before Conic Hill ascent I accepted that I’d made the right decision. The wind was wild and it hadn’t stopped raining at all. Would have been a miserable one. So with a spring in my step I headed up the hill. Well, waterfall really. The rocky path was more like a river bed and near the top the wind let itself known in full. I was surprised to see a number of hikers / tourists out despite the weather – fair play, (although some looked to be struggling a little with their giant theme-park poncho’s and the gusting wind). I continued straight off the hill and down into the woods for a break from the wind. Along the lochside was pretty wild too with the path being more than a little water-logged. On the return I considered taking the road but I always seem to talk myself out of the the more sensible approach. It’s steeper on the return towards Drymen and there were a couple of sections I slowed to a walk. Was a hard run and I was more than a little happy when I was finally back in the Spar shop in Drymen buying some well-earned and unsurprisingly disappointing sandwiches. I washed them down with a couple of milkshakes and some fruit and within an hour was sitting in a warm bath. This entry was posted on April 1, 2011 by pyllon. It was filed under Brooks, Cascadia, Conic Hill, Marathon, Running shoes, Trail, Training, Ultra distance, ultramarathon, West Highland Way, WHW and was tagged with brooks, endurance, running, trail, training, ultra, ultramarathon, West Highland Way, WHW. Hey Paul! I used to stress about not being able to follow my training plan. If I missed a session would it mean I wasn’t going to be ready for the races I had planned? But over the years I’ve learned to accept that sometimes the best thing you can do is miss, or adapt a session. Accepting that was like a BIG breakthrough – I’m no longer a slave to the plan! And often the sessions that I have to adapt are the best and most fun! Hey Ali, I’ve had to get more structure to my plans. Not necessarily putting in more hours just doing the right things at the right times. It appears to me that serious cyclists seem to be a little better at it than runners. A little bit of science helps. I’ve always been quite structured with my training. When I played golf I had a coach too and worked to a training plan – not many golfers do that! It’s just really important not to become a slave to the plan. Unfortunately we’re not doing this for a living, so we’ve got to make sure we enjoy it! We’ll see about the duathlons, although I’m already checking times from local races. Reckon I’m as good as anyone racing locally on the bike, so I just need to get my running up to a level where I can be competitive in my age-group (I’m 42 now! ).